A Survey of Binocular Astronomy Literature. Every dedicated binocular enthusiast needs a good binocular guide. As an enthusiastic, life-long collector and reader of astronomical literature, I’ve always appreciated the power and value of the printed word. Having re-ignited a keen interest in binocular observing, I was somewhat saddened to see that many great works of binocular astronomy were being largely ignored by amateurs. To help redress this balance, this blog will take a close look at a number of books dedicated to the art of visual observing using ordinary binoculars, where I offer short reviews of a number of inexpensive works. Their value lies in the collective knowledge of the authors who have produced these works; experience that far exeeds those offered by the self-proclaimed ‘experts’ constantly chattering on internet forums. And you will save yourself a small fortune – time and money – by heeding their advice. 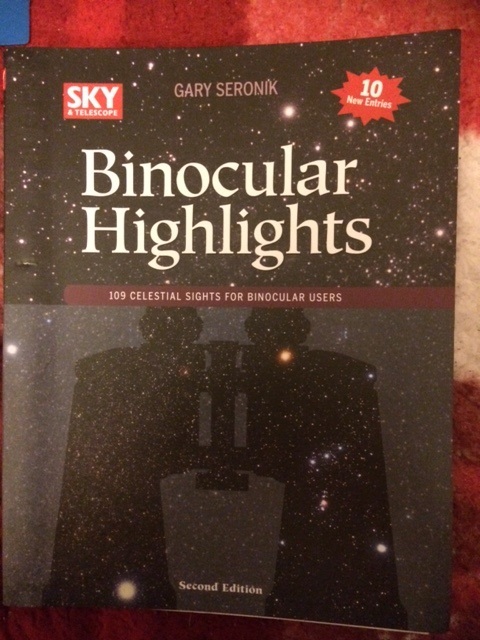 Exhibit A: Discover the Night Sky through Binoculars: A Systematic Guide to Binocular Astronomy. 1st edition: October 2018, pp 145. Want a good binocular guide for Christmas? I have the perfect recommendation for you! 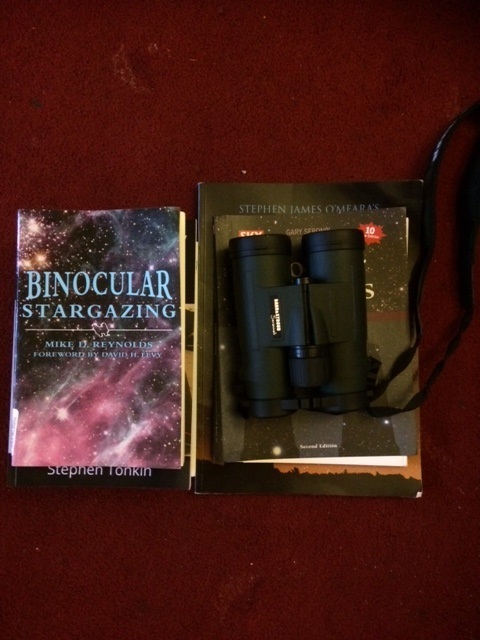 Stephen Tonkin’s new book is sure to appeal to binocular enthusiasts of all ages. Tonkin is no flash in the pan. 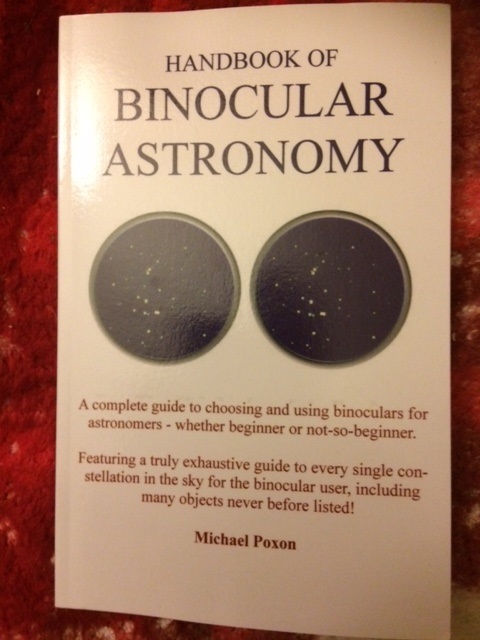 He has authored or contributed to many books I’ve acquired over the years and writes a monthly column on binocular astronomy for Britain’s BBC Sky at Night magazine. He also maintains an excellent website dedicated to binocular astronomy, which can be accessed here. So I was in no doubt about my expectations concerning his new offering and boy does it deliver! Though it looks like a self-published book, Discover the Night Sky through Binoculars, is a witty and authoratative survey of what can be realistically achieved with binoculars. After a short introduction, the first three chapters cover all the technical stuff you’re likely to need to know about how to get the best out of a decent binocular. There is a particularly humorous mention of some rubbish models, which Tokin refers to as “binocular-shaped objects.” He avoids making specific recommendations about specific models though, which is a good thing, as many units can now be purchased fairly inexpensively that can provide a lifetime of great astronomical views. The remainder of the book is divided up into the many binocular sights arranged in a month by month sequence. His superlative first-hand knowledge of the heavens shines through as he clearly and effectively shows the reader how to locate each target. All the showpiece binocular targets are covered in this book, and many more besides. Though the sky maps printed in the book are a bit small to see well, one can always download higher quality maps from his website which you can study at your own leisure. I love his description of a phenomenon called pareidolia, which describes the psychological condition of seeing patterns in the starry heavens that are not really there! I spotted one howler though; on page 8 he says, “our visual system evolved using two eyes.” Mr.Tonkin ought to look at this presentation by an expert on human vision before jumping to such conclusions! Tut tut lol. It’s very easy to use this book, especially if you already have some experience of the night sky, but it will work equallly well for newbies. Indeed, it’s almost like having an expert right beside you as you make your own binocular observations. The end of the book features several useful appendices, whch cover important topics, such as how to determine the size of your dilated pupil, how to test your binocular for defects, as well as sound advice on how to maintain your binocular in tip-top condition over the months and years. This is a great, no-frills book, with simple black & white illustrations, but it’s packed full of excellent observing projects that will keep you blissfully happy for many years to come. 2nd Edition 2017, pp 112. Gary Seronik is no stranger to those who have enjoyed Sky & Telescope magazine over the years. He wrote a regular column; Binocular Highlights; for Sky & Telescope between 1999 and 2016, where he thereafter became the editor of the well regarded Canadian astronomy periodical, SkyNews. This neat little book features 109 objects from all over the northern sky that can be enjoyed with binoculars. After a good introduction, Seronik summarises all the things you need to know about binoculars and makes a specific recommendation that a 10 x 50 unit is probably the best compromise between power and portability. That said, he admits that he is an avowed fan of image stablised models, such as his favourite; a Canon 8 x 42IS. The remainder of the book is divided up into chapters covering the four seasons of the year, where he presents a series of brief but very engaging mini-essays on the most celebrated of all binocular targets, concentrating on those objects that are best seen from mid-northern latitudes, though he does have an occasional entry of sights only visible in the deep south, such as the illustrious Omega Centauri. The book is lavishly illustrated throughout, with full colour charts typifying a 10 x 50 binocular view, on pages made from thin cardboard rather than regular paper, and is ring bound for convenient use in the field. If I have any quibbles to make about this book, they are minor; I just wish he could have included more objects. That said, I suspect that, for the vast majority of observers, yours truly included, binocular observing is not really about pushing the envelope to observe overly difficult or challenging objects. The targets themselves are so beautiful that you’re likely to observe them many times during a season, where their orientation in the binocular field changes as they wheel across the sky. Thus, Binocular Highlights is designed for observers who just enjoy looking at the same objects as the season’s progress; and that’s fine. Now in its second edition, Seronik has added 10 new entries over the original book, which is a bonus. In short, you can’t go wrong with this excellent little field guide but all the while, I can’t help but think those lovely coloured charts go a bit to waste when manhandled in the field. 1st edition, 2007, pp 208. It is oft stated that the best way to start out in the fascinating hobby of astronomy is to purchase a good binocular. There is a great deal of truth to this sentiment. Many folk who express a casual interest in stargazing quite often become disillusioned by it, perhaps because they live in a heavily light polluted location, or they made the mistake of purchasing a large, complicated telescope that is just a pain to set up in the field. The wonderful thing about binoculars is that they are much more versatile than dedicated astronomical telescopes, since they can be used during the day to have a good look around, for nature treks, birding, camping, watching sports and the like. Stargazing with Binoculars takes a much more pedestrian path through the fascinating world of binocular observing. Written by two veteran stargazers, Robin Scagell and David Frydman, who have amassed an enormous amount of field experience with more binoculars than you could shake a proverbial stick at. Their book, now in its second edition, shows you how the sky works and then presents a month by month overview of what can reasonably be seen using binoculars of various sizes. Unlike the aforementioned books, the authors include sections on lunar, planetary and solar observing, before engaging in a comprehensive survey of the binocular market. This is a great book to learn about how binoculars are made, what the various models offer the observer and how to test binoculars prior to purchasing. It also features an excellent chapter on how best to use a given binocular; whether it be hand-held, harness stabilised, or securely mounted in a variety of configurations, from simple monopods to complex binocular mounts. Stargazing with Binoculars provides a wealth of information that any interested reader will find useful, including how to estimate binocular fields using star tests, making sketches of what one sees in a binocular, as well as sections on observing comets, meteors, artificial satellites and much more besides. It also provides a comprehensive overview of the southern sky, so it is equally useful to those observers who enjoy life in the antipodean. This is a fabulous, cost-effective book for all binocular enthusiasts, featuring a generous number of full colour images to complement the text, and although I have not seen the second edition( 2013), I’m sure it will be just as good if not better. All in all, a great stocking filler for the binocular enthusiast! I’ve always been a fan of Stephen James O’ Meara, a highly accomplished visual observer, who served on the editorial staff of Sky & Telescope for many years before joining Astronomy(USA) as a regular columinist. I have collected and enjoyed all of his books over the years and would heartily recommend them to anyone. 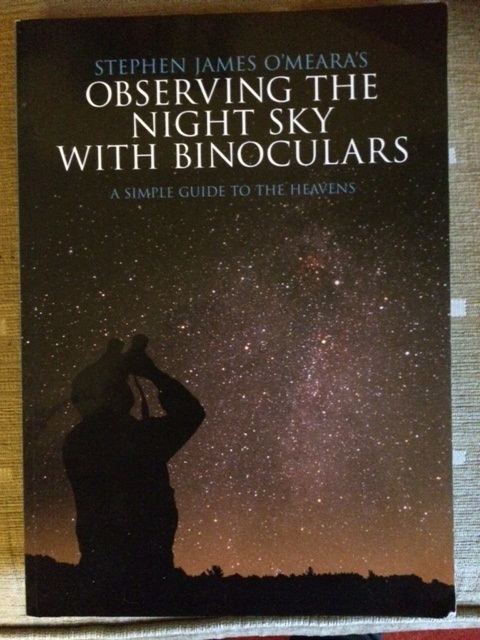 Though he is perhaps better known for his studies of deep sky objects, observing from the big Island of Hawaii using 4- and 5-inch refractors, I was glad to see that he produced a book dedicated to binocular observing to complement his telescopic adventures. Observing the Night Sky with Binoculars is a large book compared with all the others mentioned above, with dimensions of 12 x 8″. The book opens with a great introduction to exploring the night sky, featuring the Big Dipper as a starting point to find your way around the sky. Here, you’ll learn how to estimate angular separations between objects, how best to perceive star colours, as well as a good introduction to the physiology of the human eye. A surprising amount of information can be gleaned by studying the Big Dipper and how it points to many other interesting objects nearby in the sky. What is somewhat surprising about this work is that O’ Meara categorically states that he used inexpensive binoculars – 7 x 50s and 10 x 50s – in preparing the material for this book. He does not dwell on the intricacies of binocular construction or advocate any particular brand of binocular, in contrast to his other books, where he strongly advertises the virtues of small, expensive TeleVue refractors(been there, done that, not going back). The book continues by taking a seasonal look at the treasures of the binocular sky, covering each season from spring, summer, autumn and winter. What is immediately obvious is that O’ Meara has an encyclopedic knowledge of the mythology of the heavens, with a particular interest in ancient Egyptian sky lore. While this is all very good, I personally would have liked less discussion on mythology and more about actual observing, but everyone has their own take on how best to present the wonders of the night sky and, in this capacity, O’ Meara carries his own torch. All the illustrations in this book are black & white, but the charts and diagrams are very easy to read and assimilate. In addition, there is a wealth of good drawings made by the author in this book which greatly adds to the value of this work and while many targets can be seen by the averagely keen eye, some are very challenging, requiring both very dark and transparent skies and a very keen eye to fully appreciate. Though it is a bit more pricey than the other books discussed above, anyone with a keen interest in the binocular sky will appreciate this very well written book, and I for one feel fortunate indeed to have a copy in my personal library. Exhibit E: Handbook of Binocular Astronomy: A complete guide to choosing and using binoculars for astronomers – whether beginners or not-so-beginner. Michael Poxon is a name unknown to me, but that ought not deter a curious individual from investigating a book. Often times, to my growing knowledge, it’s ordinary folk who come across as being the most sensible and the most experienced, as opposed to the loud-mouthed guffaws you see on internet forums. And Poxon puts his all into this very large book! It begins, as all the others do, by stressing how important binoculars can be to the novice and dedicated astronomer alike. He offers sage advice in purchasing a good binocular, you know; what to avoid and what not to avoid. Curiously, he advises against image stabilised binoculars for the following reasons; they’re often very heavy(over a kilogram) and so do nothing to stave off arm ache, they rely on battery power(which he finds to be a nuisance) because they lose their charge in a few hours. They are also very expensive and the author feels that the money is better spent on conventional optics. Furthermore, he rightly points out that better stablisation can be achieved by using a homemade monopod. In this, I wholeheartedly agree; my brief experience with an image stabilised unit a few years back left me feeling a little underwhelmed and I felt the images were, let’s say a tad “artificial.” And although Poxon certainly advocates the cheap and cheerful porro prism varieties, he also sings the praises of compact, roof-prism models because of their labour-saving low mass in comparison to the former, albeit at some additional cost to the consumer. It is also clear that Poxon is a highly seasoned enthusiast, who has travelled to many places around the world to observe the binocular heavens. Ever the practical man, he has the presence of mind to include the construction of effective, low-tech dew shields for his 10 x 50s used during his prolonged binocular surveys, which he often mounts astride his 36cm telescope. Chapter 2 deals with the basics of the celestial sphere, the magnitude scale of stars, as well as a very useful table indicating the magnitude limits, field of view and angular resolution of various popular models used by the amateur community. 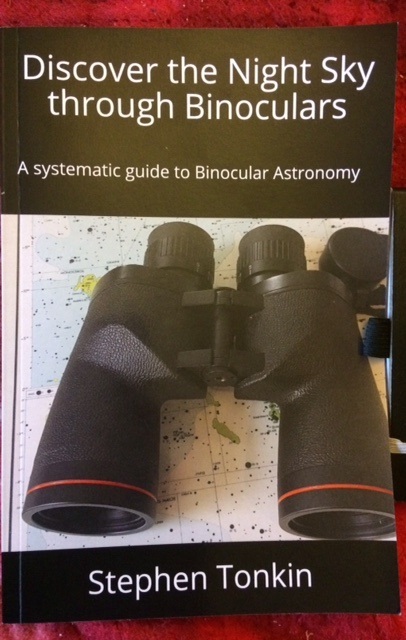 He also offers up valuabale advice on how much one can gain in stabilising a binocular; on page 31, for example, we learn that one can go a hefty 1.5 magnitudes deeper on a stabilised system compared with hand holding; and I’d call that signficant! What follows are excellent general overviews of the Sun, Moon and planets, eclipses etc. Poxon does an especially good job in helping the reader recognise the many lunar craters and mountain ranges within the resolution remit of a typical 10 x 50 binocular with simple but very effective lunar maps. In Chapter 5 (which is mistakenly printed as Chapter 3), he delves into the fascinating world of deep sky astronomy and what follows is a very impressive listing of interesting variable stars, double and multiple stars (both wide and close-in) as well as a treasure chest of deep sky objects from the entire pantheon of constellations in the sky( the whole 88 are represented).The data is arranged in the form of notes which can be easily followed by the interested observer. While the illustrations are not of the highest quality, they are generously presented and can be followed without much fuss. The end of the book contains a series of useful appendices with particular emphasis on variable star monitoring.This is an excellent book and, true to its opening lines, has something for every level of enthusiast; from newbie to veteran. I was pleasantly surprised by its excellent content, written by a well heeled amateur. An honorary mention. The late Neil Bone(1959-2009) was a highly accomplished deep sky observer, public speaker and writer. A microbiologist by profession, he spent many of his evenings observing the glories of the deep sky from his Sussex home. Despite his notoriety and universal respect by the British astronomical community, Bone used simple equipment throughout his life, which included a ShortTube 80, a 10 x 50 binocular and a small Dobsonian telescope to accomplish all his observing goals. 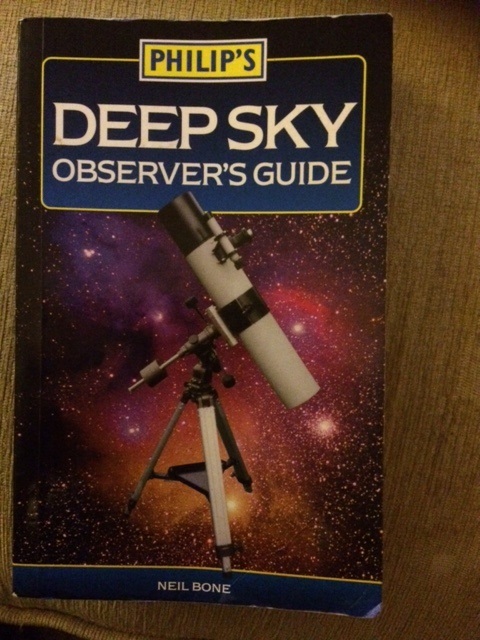 Deep Sky Observer’s Guide is a wonderful little book for beginning stargazers, featuring a rich selection of deep sky objects that are accessible to anyone with the same equipment. The first two chapters cover the basics of deep sky observing, including a great overview of the celestial sphere as well as the equipment and observational skills amateurs use to good effect to divine its many secrets. The rest of the book has chapters dedicated to particular deep sky real estate, including galaxies, asterisms, globular clusters, diffuse nebulae, open clusters, planetary nebulae and supernova remnants. Although the book is not about using binoculars per se, Bone used his 10 x 50 to make excellent observations of many of his subjects and are preserved for posterity in the pages of this literary gem. To see just what can be accomplished with a humble 10 x 50 binocular, this now classic text is a great place to spend some time. Many of the deep sky objects he describes were observed using his trusty binocular, and despite his premature passing, his rich word pictures still have the ability to inspire me. In amatam memoriam. Mike D. Reynolds is a name familiar to many American and Canadian observers. A professor of astronomy and Director Emeritus at Chabot Space & Science Center at Oakland, California, he is probably best known for his popular writings in Astronomy Magazine, as well as his excellent books on eclipses and meteor watching. 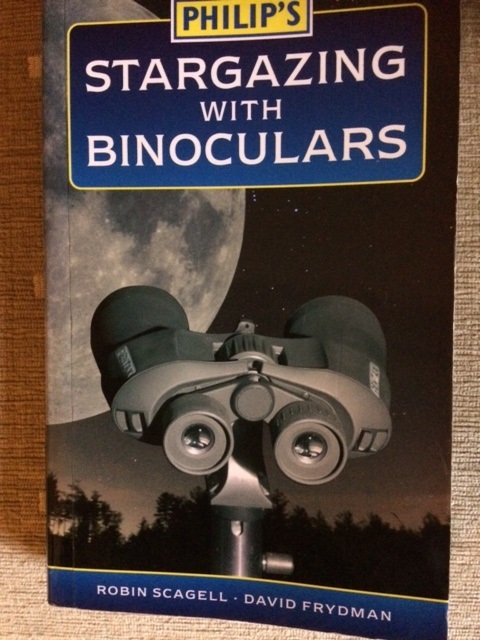 Binocular Stargazing is a very well written and thought-out book, covering a lot of ground. After a short foreword from celebrated comet discoverer, David H. Levy, the first three chapters provide all the information you’re likely to want to know about binoculars, past and present, written in a friendly yet authoratative style. What is very refreshing to see in this title is that, like nearly all the other authors of binocular astronomy, Reynolds emphasises that one can obtain excellent results with only a modest investment; a philosophy yours truly also shares. Chapters 4 through 7 offer excellent overviews of how binoculars can be used for lunar & solar observing, before engaging in a thorough but non-technical treatise on the wider solar system objects, the distant stars, as well as presenting a great introduction to deep sky observing. One slight niggle pertains to the author’s persistent use of the term “pair of binoculars” throughout the book. Though certainly not a big deal and still used my many observers, the phrase doesn’t really make a whole lot of sense. The word ‘binocular’ implies duplicity. Better to use ‘binocular’ to refer to a single instrument and ‘binoculars’ when referring to more than one such instrument. Chapters 8 through 12 offer up one of the best surveys of the binocular sky I’ve seen, arranged in seasons, ending with a special chapter devoted to observing from southern skies. Throughout, Reynolds displays his first-hand experience in the field and has a talent for making the subject matter very accessible. The science presentation is first-rate, as one would expect from a guy with an advanced degree in the science. Variable stars are particularly well represented in this title. What I particularly liked is the inclusion of extensive appendices (A through I) at the back of the book. One appendix in particular, emphasises the age-old tradition of note-making and keeping, sketching and the like; an activity of great importance even in this age of instant digital gratification. The text is quite generously illustrated in monochrome, though some of the images could have come out better, they are certainly good enough not to distract or confuse the interested reader. 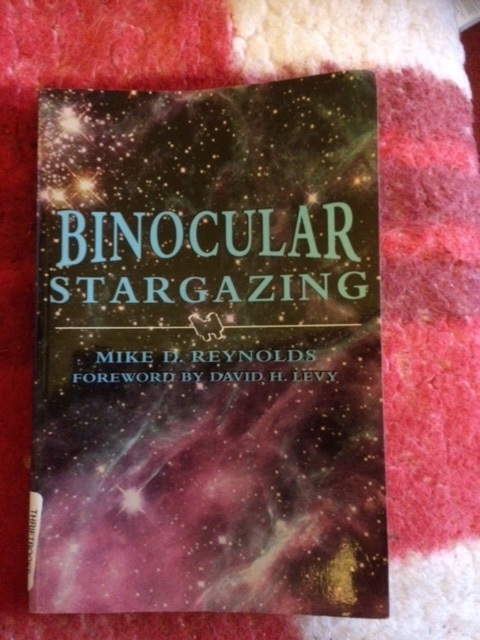 All in all, Binocular Stargazing is a highly recommended book for binocular enthustiasts, and I for one will continue to enjoy dipping in and out of it in the future. Exhibit H: Touring the Universe Through Binoculars: A Complete Astronomer’s Guidebook. 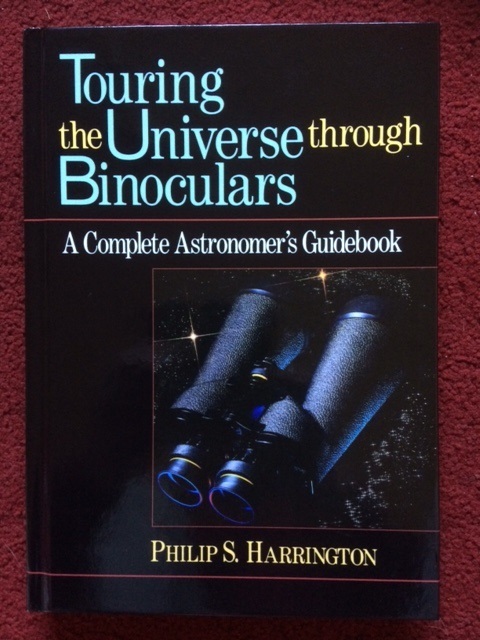 It is hard to believe that nearly 30 years has gone by since the publication of Philip Harrington’s, Touring the NIght Sky with Binoculars. Back then, I was still an undergraduate with only a 7 x 50 porro prism binocular and a 60mm classic refractor to explore the night sky. Pluto was still a planet and the first CCD imaging pioneers were beginning to tinker with their crude chips to obtain electronic images of the celestial realm; most were still using photographic film. And while amatuer astronomy has changed beyond measure in only three decades, Harrington’s book provides solid evidence that some texts will never go out of fashion. The preface of this now classic text reveals the modus operandi of the author, who admits that the book was primarily written for himself! Giving an honourable mention to Garrett P. Serviss’ 1888 work, Astronomy with an Opera Glass, Harrington weaves together an enormous body of field knowledge, which both complements and far exceeds the collective wisdom of his distinguished Victorian predecessor. Harrington was one of the earliest amateur astronomers to call attention to the considerable advantages of using two eyes, explaining that gains of up to 40 per cent can be achieved in resolving fainter, low-contrast deep sky objects. This much is made clear in the short introduction to the book, but the march of time has thoroughly vindicated his binocular evangelism, as evidenced by the great popularity of binoviewing, as well the growth of binocular astronomy in general among the global amateur community. The book, as Harrington makes clear, is actually a collection of concise notes which he himself compiled in his adventures under the night sky. Eschewing any discussion on equipment, the author launches into fabulous discussions of the Moon, Sun, planets and minor bodies of the solar system, before wading into the pantheon of objects existing far beyond our shores. Beginning in Chapter 7, Harrington provides concise but highly accurate depictions of a sumptuous listing of deep sky objects:- stars, open clusters, nebulae and galaxies, as seen in a variety of binoculars, both large and small. In a departure from most other authors, Harrington recommends the 7 x 50 above the 10 x 50 as the best all round instrument for hassle-free binocular observing, but it is also evident that he has gained a considerable amount of experience behind a larger 11 x 80 instrument. Every constellation in the heavens is discussed separately, rather than approaching the subject from a season by season perspective. This works supremely well, being more reminscent of Robert Burnham Junior’s three volume work, Burnham’s Celestial Objects, than anything else. While this hardback text was not designed to be used in the field, it is an indispensible work for planning and reflecting upon the sights seen on a clear, dark night. I find myself using it to compare and contrast it to my own observations and notes and to challenge myself to see more with a given instrument. Remarkably, any discussions on binoculars per se are reserved for short appendices at the back of the book. Like all truly seasoned observers, Harrington avoids making specific recommendations, emphasing that one can do a great deal with modest equipment. Appendix B in particular, discusses how resourceful amateurs have hobbled together exceptional mounting strategies that greatly increase the comfort of viewing through truly giant binoculars, featuring such individuals as Norm Butler, Jerry Burns and John Riggs, to name but a few. Although technology has certainly moved on (just look at the quaint photographs used to illustrate the text!) since Harrington first collated the work for this text, it is unlikely to be superceded by anything in the modern age. Indeed, it remains, for me, the definitive volume of binocular astronomy and shall continue to hold a special place in my astronomical library. Thoroughly recommended! Just like in the case of telescopes, we are fortunate to live at a time in history where quality binoculars can be had for relatively small amounts of money. There is a bewildering number of models available to suit everyone’s budget, and even the least expensive units are immeasurably superior to the naked eye. But as all the authors of these books make clear, what is most important is that one gets out under a starry sky and use the instrument. Of course, one can decide to avoid the collective wisdom of these writers, but it will most likely lead the researcher down many dead ends (I speak from the well of my own experience), where one is tempted to keep buying ever ‘better’ models in the mistaken belief that grass is really greener on the other side. Unfortunately, this is largely the state of affairs on our telescope and astronomy internet forums, where folk seem to be more interested in a said instrument than actually using it. This is highly regrettable; indeed it is a very real kind of poverty, missing, as it were, the woods for the trees, but it can easily be countered by just getting on with the equipment we have. I hope you have found these mini-reviews of some use and I do hope that amateurs everywhere will avail of these well thought out resources, written by people who have a real passion for observing the night sky and for sharing their knowledge with others. Folk fae the fora having a guid chinwag about ‘binocular’, ‘pairs of binoculars’ etc. This entry was posted in Astronomical topics, Telescopes by Neil English. Bookmark the permalink.